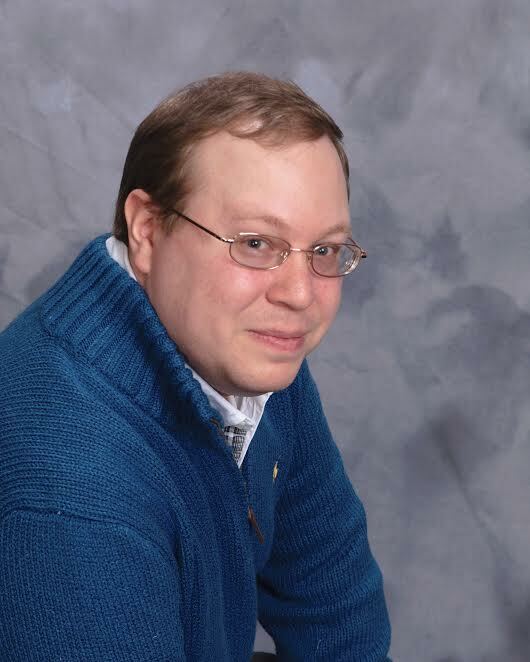 I’m thrilled to welcome Charles E. Yallowitz for a guest post about magic systems. Charles recently released Warlord of the Forgotten Age, the last entry in his fifteen book Legends of Windemere series. Fifteen books – what an accomplishment! 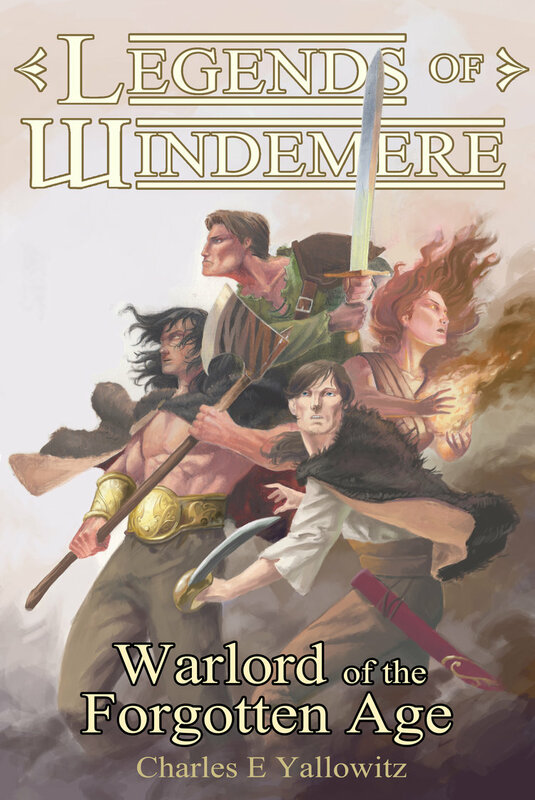 Thank you to Teri for offering to host a guest post and helping to promote Legends of Windemere: Warlord of the Forgotten Age. This is the final book of my fantasy adventure series, which has spanned 15 volumes. One of the most key factors for the series has been the magic system. Spells have flown, rituals have been done by both sides, ancient traps have been sprung, and enchanted items have been wielded throughout it all. This is to be expected since I made Windemere a high magic world and it all started with a simple system that eventually grew into something larger. The original idea begun with the Lich explaining that everything in Windemere has an aura that can be manipulated. For a necrocaster, this means working with the energy of other beings, which is similar to touching a person’s soul without permission. For regular casters, it’s using your own energy to create spells, which Nyx explained more of when she debuted. Magic in Windemere is all about utilizing these auras, which means nearly every speck of matter in the world is enchanted. This is because the dimensional plane of magic crashed into the physical plane and merged with everything. Prior to this, it was harder to become a caster and the level of power that could be unleashed was nothing compared to the modern age. Similar to Dungeons & Dragons games, I had to evolve the system as the series progressed to make heroes and villains stronger. New characters appeared with new abilities, which had to be explained in a way that worked with what I already had. Monsters and unique races demonstrated natural spells, which led to me explaining that some beings had stronger auras than others. This is especially true with the fauna, so one could see how the beasts might be more connected to magic than the more civilized beings. It really drove home the idea that this is a natural power unlike other systems where magic is at odds with the world. When parents and relatives began showing up, I had to show if genetics were a factor when it came to magical power. The answer is yes, but some bloodlines are more powerful than others because the art has been perfected. So, one could even say magic alters the genes if it’s used enough in a lifetime. Perhaps the biggest change came from Nyx because she started off having a quirk that didn’t fit with the system. Casters typically have to use words or gestures to cast a spell, yet she never had a need. She still moves while casting, but it’s more to direct her attacks and because she grew up learning the gestures. This meant I needed an explanation that didn’t destroy the entire magic system. My answer was the rare and previously thought extinct species called the channelers. These are powerful beings who are one with magic and can use it as easily as they breathe, which meant they were feared and somebody decided to wipe them out. Nyx is descended from the last of that line who spent her final days setting up channeler bloodlines that would eventually revive the species. Something about this made the magic a lot more potent and fluid since the limits had been increased. Not that it didn’t come with a cost because I came up with the idea that the more magic you can wield, the easier it is for you to run out of juice and be left defenseless. Channelers also have an extra risk because of their connection to the auras around them. Since they don’t only use their own, but absorb the magic from their surroundings, they’re connected to the world. This means the bigger the spell, the higher the chance that they will be left open to the thoughts and emotions of their target. With that, the final piece of the puzzle fell into place because I’d always been on the fence about connecting auras to the soul. For a bit, I hinted that they are one and the same, but then it meant Nyx losing her powers was her losing access to her soul. It made it sound like she’s undead in this state too. The two energies are intertwined and this posed an extra danger because certain magical beings could process the soul as if it was aura. On the other side of the coin, a desperate caster could use their soul for a boost if they really need to survive. This also explains why undead are the only beings with no aura because they lost it along with their soul. Only time and future series will tell if this is where the system stops growing, but I have a feeling there’s a lot more to discover. Again, thank you to Teri for letting me be a guest. Hope everyone enjoyed this behind-the-scenes look of Windemere. Please feel free to check out or help spread the word about Legends of Windemere: Warlord of the Forgotten Age. Enjoy the adventure. Catch the rest of the LEGENDS OF WINDEMERE on Amazon! Terrific explanation of how Nyx’s character came to be. Thanks to Teri for hosting today. Glad you enjoyed it. Nyx really did pull a fast one on the system. Nyx definitely gets more compliments and attention. Fizzle might be the only one to give her competition. Thanks for dropping by, John! I actually dropped in. I still don’t have a handle on the guide ropes on the parasail. Sorry about the roof. I like the explanations, and the fact that Nyx is a bit different. Thanks. The funny thing is that the change with her forced one for Trinity and set up some other future characters. The whole ‘return of the channelers’ subplot will be running through most of the series that take place post-Legends. Funny how that happens when we write. I haven’t taken on a project of this magnitude, but I’ve seen similar things. I’ve heard of it too. Forgot any examples though. Thanks for letting me be a guest. Have a fun week. You’re welcome, Charles – any time. An interesting post about Charles’ new novel, Teri. So much detailed planning for a series to make it all work. It is so impressive. Thanks. The magic system actually evolved a lot while I wrote. I’ve learned that some of the core pieces can only be created during the first draft and editing. The pre-planning can be a good jumping off point, but it never seems to go the way I thought it would. I can’t imagine the planning Charles must have done spanning 15 books. It makes my head hurt. Charles, you clearly put a lot of thought into Nyx’s development and the continual building of the world you’ve created. It all sounds fascinating, and I applaud you for working to make it believable (and riveting) for the reader. Thanks. Honestly, I never really considered Nyx’s development fully planned out. I knew the general idea I wanted her and the other champions to go. Beyond that, I wasn’t sure how things would turn out. With Nyx, the easiest part was probably her magical ability and the origins of her power. Everything else was a nerve-wracking roller coaster. Nerve-wracking roller coaster is a good way to describe what characters do to their authors. Happy Tuesday, Teri. Best to Charles.